How insignificant am I? 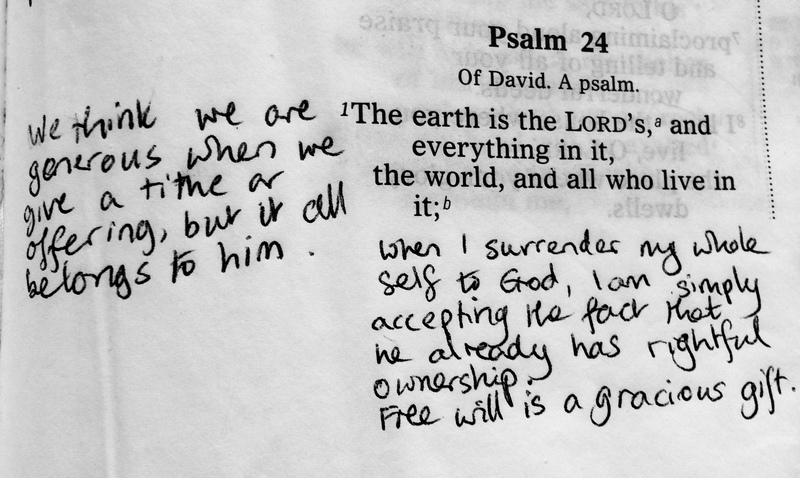 Using the word ‘my’ is hardly even appropriate, given that everything in the whole world, me included, belongs to God. Nothing is mine my right, but only by gracious gift. I found verse 6 particularly challenging. People are one of two things: they are either turning towards God, journeying to get closer to him, or they are turning away, and walking, running, or just drifting further from him. You can’t stand still, and there’s no neutral stance. You are either seeking his face, or you’re not. Psalm 24 was likely written concerning bringing the Ark of the Covenant back to Jerusalem. This was God’s very throne, and represented his very presence. And Jerusalem was asked to open its gates to allow the procession entry. Of course they would fling wide the gates and welcome in that prized of prized possessions. That reminded me of Revelation 3:29 where Jesus says, “Here I am! I stand at the door and knock. If anyone hears my voice and opens the door, I will come in and eat with that person, and they with me.” He wants to come and take up residence within me, bringing all his power, all his glory, all his righteousness, all his presence. Let every barrier go, and welcome him in! Not so insignificant now am I? The King of Glory lives in me. 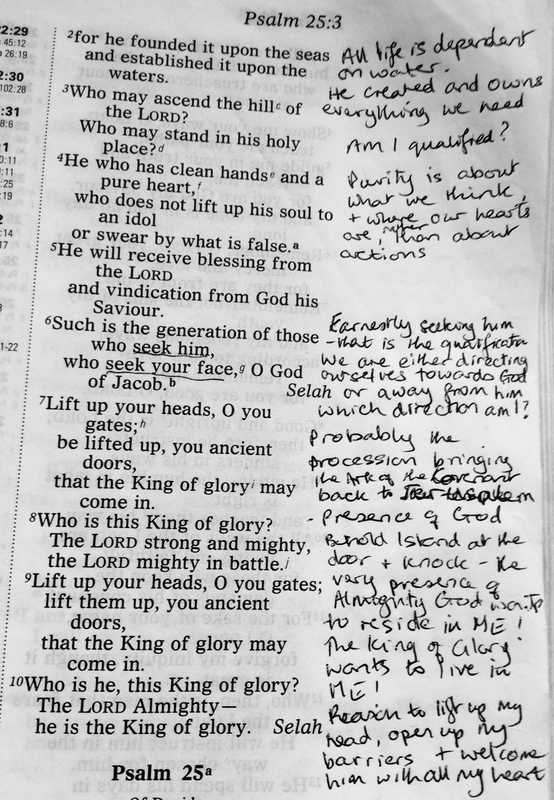 This entry was posted in Bible, Christianity, Psalms and tagged I stand at the door and knock, Psalm 24, surrender to God, the Ark of the Covenant. Bookmark the permalink.